Shinjuurou, along with Rie, Izumi and some others, receive strange invitations supposedly sent by Rinroku. 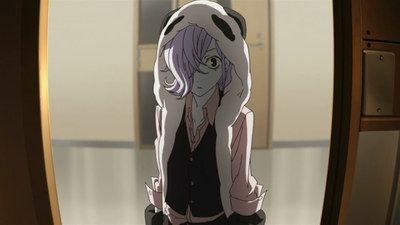 They are brought together at a table where they are presented with weapons, Shinjuurou believes that the imposter Rinroku was the one who appeared at Rie's home, deducing that the Diet member and Rinroku's bodyguard caused the explosion. It is at this point that Rinroku himself seemingly appears with Inga, only for Shinjuurou to deduce that he is actually Izumi's assistant, Shingen Hayami, using Bettenou's power, with the real Rinroku having disguised himself amongst the attendees, having previously faked his death. After a fierce battle, Inga defeats Bettenou and devours her. After the incident, Shinjuurou explains his relationship with Inga to Rie. At the unveiling of a statue created in memory of three youths who sacrificed themselves to dispose of a bomb, two people who were snuck in to try and unveil a purported scam behind the story are found murdered inside the statue. 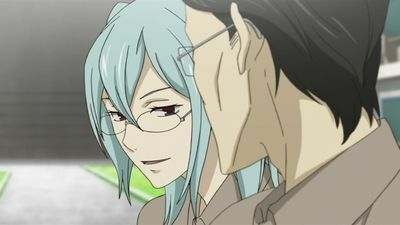 Shinjuurou initially suspects the statue's commissioner, Hakuro Shimada, as the murderer, but Inga's question proves his innocence. After a brief depression and a pep talk from Kazamori, Shinjuurou deduces the culprit to be the statue's creator, Youko, who killed the men before they were transported, before later revealing the location of gold bricks that Hakuro had hidden. Shinjuurou is approached by Yajima, an old friend of Rinroku, who found a piece of manuscript in a book given to him by an inmate whilst he was in prison. After discovering Yajima's wife Takiko's fingerprints on the paper, Shinjuurou informs Rie, who investigates how the book relates to Rinroku. Shinjuurou later hears from Yajima about how his children disappeared and his wife went blind, allegedly having an affair with Rinroku. Shinjuurou looks at all the books Rinroku bought from the Yajima family, finding more hidden codes which are revealed to be from Yajima's children. As it turns out, Rinroku had helped the children and placed them in child care to avoid Takiko's neglect, and they are soon reunited with Yajima. Afterwards, Shinjuurou confronts the prisoner who gave Yajima the book, learning something shocking. It is revealed that Kazamori was actually a program known as RAI, one of the last built by Komamori before they were outlawed. 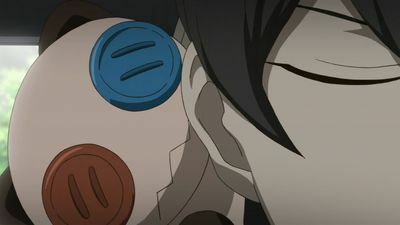 As Kazamori is accused of killing the corpse that was assumed to be him, Shinjuurou and Inga download Kazamori into a doll before he is taken into custody. 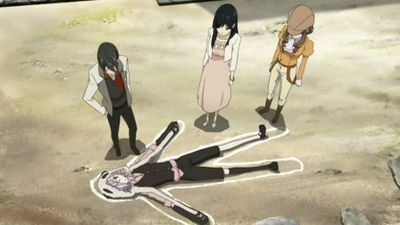 After discovering that the corpse was an outside and learning that Kazamori's maintainer, Dr. Taku, was also a RAI, Shinjuurou and others soon discover the culprit is Komamori, who faked his death using the body of the real Dr. Taku so that his RAI wouldn't be used by the military. After Komamori is arrested, Kazamori moves his consciousness to a doll of a girl so he can continue its life. 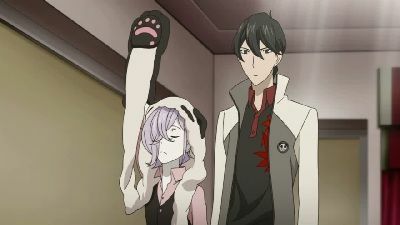 After determining that Shinjuurou had been imprisoned, Rie accompanies Izumi to the prison, where they are both put under the novelist's spell and become characters in his 'novel' alongside Shinjuurou. As Inga determines this is the work of a deity known as Bettenou, Kazamori manages to make use of a pair of taser handcuffs to snap Shinjuurou back to reality. Shinjuurou investigates into the real murder, determining the culprit to be one of the 'actresses', who killed the 'director', who was actually a security guard trying to help her escape, because she believed she was being cut from the movie. Meanwhile, Inga gets the truth out of the novelist whilst Bettenou disappears. A wealthy woman named Hisako Osada is found murdered in a briefcase that was delivered to her home. Whilst the police suspect Hisako's lover to be the culprit, her daughter, An, believes someone else is behind the murder and calls on Shinjūrō to investigate. Their investigation leads them to look into an idol group Hisako managed named Yonagahime 3+1, one of its members of which, Eri, was allegedly killed in a terrorist attack. Inga uses her powers on one of Yonagahime's members, who reveals that Eri never existed and was just used by Hisako to skyrocket the band's popularity during a war. 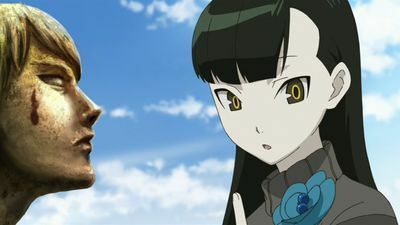 After analysing Eri's vocal data, Shinjūrō deduces the culprit to be the one behind Eri's voice, An, who killed Hisako when she told her that she wouldn't be allowed to sing in order to keep Eri's identity secret. Shinjūrō also deduces that Rinkako and police detective Izumi Koyama were the ones who started the reports on Eri, pinning the murder on someone else and continuing to restrict An from singing. 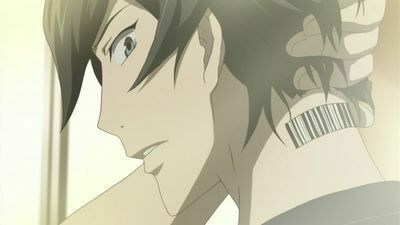 Shinjūrō manages to use his connections to play An's voice all over town. Kaoru Kanou, a corporate president who is under suspicion for arrest, holds a ballroom event. 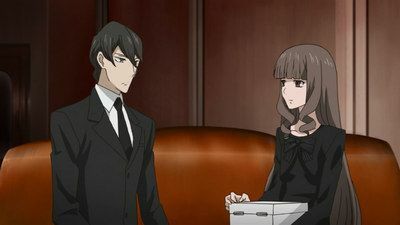 Among the invitees are Shinjūrō Yūki, a curious detective, his strange assistant, Inga, and Rie, the daughter of police detective Rinkako Kaishō. 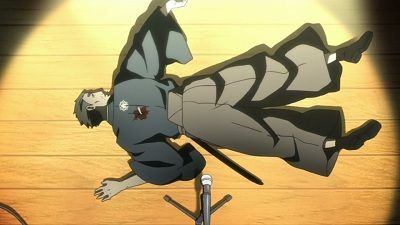 During the event, Kanou is mysteriously murdered by a knife in his back, with suspicions placed on a member of the SP police who was found shot dead in the hallway. 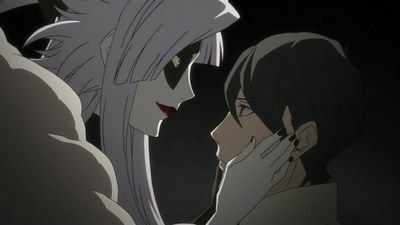 However, thanks to Shinjūrō's detective work, along with the strange abilities of Inga, who transforms into an adult capable a forcing an answer to any one question she asks someone, they soon discover the culprit is Kanou's wife, who wanted him to die a hero. Rie calls on Shinjūrō and Inga to accept a request from Mitsuko Sasa, whose adopted brother Kazamori caught on fire and died, allegedly related to a curse from her father, Komamori, who died in a similar manner seven years ago. 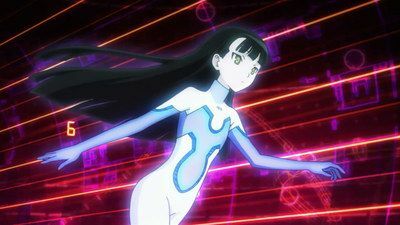 As Izumi's group conducts their own investigations on the cause of Kazamori's death, Inga uses her powers to reveal that Kazamori is actually a supercomputer.